Ms. Damkroger has over twenty-five years of experience in historic preservation. She is the former Historic Preservation Officer for the City of San Jose, California; Assistant Regional Director of the National Trust for Historic lPreservation, Western Office, and worked as a writer and zoning analyst for the Chicago Office of Skidmore Owings & Merrill. In a volunteer capacity, Ms. Damkroger served on the Fort Mason Center Board of Trustees, the board of the California Preservation Foundation and was the former Vice President of the San Francisco Historic Preservation Commission. She holds a BA in Art History and a BBA in Business from Southern Methodist University as well as an MA in the History of Art and an MCP in City and Regional Planning from the University of California, Berkeley. Mr. Littler has over ten years of experience as a structural engineer working in the UK, Middle East and Bay Area. He is devoted to rehabilitating and preserving the city’s existing buildings, especially those of historic merit. Paul is an expert in developing seismic retrofit and rehabilitation schemes that preserve historic architecture. He has a passion for finding and implementing designs which can contribute to historic preservation including innovative analysis techniques, such as Performance Based Engineering, and cutting-edge building materials, such as Fiber Reinforced Polymers (FRP). His work with the Presidio Trust’s Building 101 & 103 and The Battery has been highly regarded, leading to his award as Young Engineer of the Year from Structural Engineers Association of California. Mr. Littler holds a Master’s degree of Engineering in Civil and Architectural Engineering from the University of Bath, UK. James Buckley is the Director of the Historic Preservation Program at the University of Oregon, Portland. 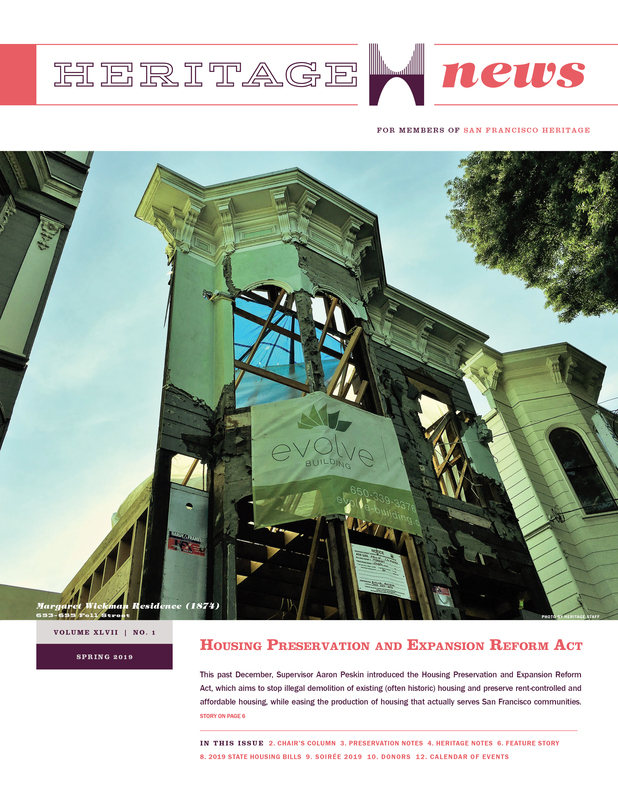 He has over twenty-five years of experience in the development of affordable housing in the Bay Area, including the adaptive reuse of several historic buildings for residential uses. Mr. Buckley previously taught at MIT and UC Berkeley and holds a Master’s degree in city planning and a Ph.D. in architectural history from UC Berkeley. He has been a member of the board of directors for the Vernacular Architecture Forum (VAF) and the Society of American City and Regional Planning History (SACRPH). Leo Chow has led a broad range of projects in the United States and Asia. His work demonstrates his passion for the collaborative integration of diverse disciplines, particularly structural engineering, building services, environmental engineering, historic preservation, and digital analysis to address complex functional and performance challenges to produce innovative works of architecture that are responsive to the client’s needs, sensitive to the creation of inspiring places, and carefully consider climate, local ecologies, and the social context. His award-winning projects include the Harvard University Northwest Science Building, St. Regis Hotel and Residences, and the San Francisco Civic Center Complex. Leo created the SOM Integrated Design Studio, which has been taught at the University of California at Berkeley, Cal Poly San Luis Obispo, the California College of Art, and Stanford University. He is a former member of the San Francisco Arts Commission, serving on the Civic Design Review and Executive Committees. He received his Bachelor of Architecture from Cornell University and his Master of Architecture from Harvard University’s Graduate School of Design. Ms. Cooper is a registered architect with over 25 years’ experience whose work has focused on high profile historic building rehabilitation projects. She led ARG’s team for the restoration of the Conservatory of Flowers in Golden Gate Park, a Save America’s Treasures Grant and a National AIA Honor Award winner. She also led the rehabilitation and adaptive reuse of Cavallo Point – The Lodge at the Golden Gate, creating the only new National Park Lodge in the last decade. As a passionate advocate for sustainable preservation, she has presented widely on the topic and spearheads ARG’s sustainable practice group. Ms. Gille has more than 25 years of direct experience acquiring, managing, leasing, and disposing of commercial real estate, with a primary focus on West Coast office buildings. As a principal at REAL Systems, she provides consulting services to property owners to improve the performance of their investments–in property as well as human capital. Ms. Gille teaches as adjunct faculty at San Francisco State University and serves on the Fort Mason Center board. She received a Bachelor’s degree from University of San Francisco and a M.Sc. in Management as a Sloan Fellow at London Business School. Mr. Jamil has over 18 years of experience as an teacher, attorney, and neighborhood advocate. He is the former Chair of the Middle Polk Neighborhood Association and is Co-founder of the Van Ness Corridor Neighborhoods Council comprising of ten neighborhood organizations along Van Ness Avenue focused on issues relating to planning, land use, and transportation. Mr. Jamil previously served as an economics, history, and forensics teacher in San Jose, California while attending Santa Clara University School of Law where he graduated with a JD. He also holds a BA in Political Science from the University of California, Berkeley where he participated in a year-abroad program at the Chinese University of Hong Kong. Mr. Jamil is a tax attorney for the San Francisco City Attorneys Office and is the Co-Chair of the California County Counsels Association Taxation Section. Ted has been working with ECB since 2001, and specializes in multi stakeholder, nonprofit, and public-private partnership projects that emphasize environmental sustainability, historic rehabilitation and educational uses. He became a partner in the firm in 2012. His current projects include: Marin Horizon School (Mill Valley), a new Library, Multi Use Building and various site improvements, the Marin Farmers Market, design and development of a proposed new permanent pavilion and multi-use community facility for the Agricultural Institute of Marin, to be located at the historic Marin County Civic Center, and Cavallo Point Lodge, Phase II (Sausalito/Fort Baker), including the extensive remodeling of the commercial kitchen, and conversion of an historic jailhouse into a new bakery and café. Ted earned his J.D. in 1995 from Golden Gate University School of Law, specializing in environmental law and policy. He received a Bachelor of Arts degree in 1988 from the University of Colorado at Boulder. He currently serves on the board of California Heritage Council. He is a member of SPUR and ULI. He lives in Marin County. Mr. Lohmann has over 15 years of experience in the real estate industry and has underwritten well over $3Bn in real estate projects, ranging from small urban infill projects to large suburban office developments in Silicon Valley. Prior to his current role as a Sr. Relationship Manager for City National Bank’s Commercial Real Estate group in San Francisco, he held positions as a Lender, Credit & Asset Manager at various financial institutions, and also served on the management team of a real estate private equity firm as Vice President of Capital Markets & Head of Real Estate Investment Advisory. In that capacity, he was responsible for sourcing, underwriting and structuring equity investments, managing investors and clients, as well as managing the company’s capital raise efforts in Germany. Prior to that, Mr. Lohmann worked for a Real Estate Investment Company, overseeing Acquisitions, Operations, Finance, HR and IT. Before moving to the United States, Mr. Lohmann served over 2 years in the Germany Navy in the Communications and Naval Intelligence field with various land and sea deployments. After the Navy, he attended Philipps University of Marburg’s law school in Germany, and ultimately made the decision to move to the United States, and pursue a degree in Finance. He graduated from CSU Sacramento with a Bachelor degree in International Business & Finance, and subsequently earned a Master’s degree in Finance from Saint Mary’s College of California. In addition to serving on the Board of San Francisco Heritage, Christoph sits on the Advisory Board of Saint Mary’s Business Graduate School for Finance. Katherine is an Architectural Historian and Preservation Planner. With over twenty years of professional experience since completing her Masters Degree in Historic Preservation of Architecture at Columbia University, Katherine has worked on a wide range of project types surveying, assessing and documenting the historic built environment: at the Fundacion Casa Ducal de Medinaceli in Seville, Spain; in New York City; at the firm HOK in London; and, at Architectural Resources Group in San Francisco. Katherine is active in local, national, and international circles focusing on historic resources, as a public speaker and contributor to various publications. Katherine is Vice President of the San Francisco Neighborhood Theater Foundation, which has advocated for the City’s historic theaters since 2000. She is a founding member of Save New Mission and authored landmark legislation for the New Mission Theater, now the Alamo Drafthouse. In 2013, she launched a private consulting practice with offices in the historic Maybeck Building in North Beach. In addition to multiple projects, she is currently serving as the Project Manager for the planning phase of the U.S. Old Mint Restoration Project in collaboration with the California Historical Society and the Mayor’s Office of Economic and Workforce Development. Elisa Hernández Skaggs has over 16 years of experience working on the rehabilitation and preservation of historic buildings. Her professional experience ranges from large scale rehabilitation projects to accessibility improvements in landmark buildings. Ms. Skaggs’ expertise includes Historic Preservation Tax Credit and entitlement consultation, interpretation of the California Historic Building Code, and evaluations for compliance to the Secretary of the Interior’s Standards. Her professional interest lies principally in the adaptive reuse of our historic resources. As a member of the AIA San Francisco Historic Resources Committee, Elisa has been the leader of seminars, tours, and panel discussions designed to provide awareness to San Francisco’s historic resources. Ms. Skaggs meets the Secretary of the Interior’s Professional Qualification Standards for Architecture and Historic Architecture. Ms. Sullivan has over 15 years of extensive land use and policy experience in urban planning, historic preservation, and zoning in San Francisco. She worked at the San Francisco Planning Department for seven years before going into the private sector. While at the Department, she was a Legislative Liaison and Policy Analyst for five years, where she worked with the decision makers at City Hall and helped draft the charter language to establish the Historic Preservation Commission as well as to amend Articles 10 and 11 of the Planning Code. Ms. Sullivan was trained in both urban planning and historic preservation and has worked as a preservation planner at the New York City Landmarks Preservation Commission and at the San Francisco Planning Department. She has evaluated projects for conformance with the Secretary of the Interior’s Standards for the Treatment of Historic Properties and with the California Environmental Quality Act, drafted landmark designation reports, as well as provided technical assistance on historic building materials. Ms. Sullivan received her J.D. from Brooklyn Law School and her Masters in Science in both Historic Preservation and Urban Planning from Columbia University. With a career spanning 36 years, Mr. Tom has provided principal and management leadership to a wide range of projects, including feasibility studies, master plans, new construction, renovation, and interior design assignments. His portfolio comprises academic facilities, public works/infrastructure, multi-family and single family housing, historic building renovations, and workplace design solutions for corporate and nonprofit organizations. As the managing partner, Doug is responsible for advancing practice initiatives while overseeing operational and quality objectives office-wide. He is also engaged as a principal on select projects, including the award-winning rehabilitation of historic Piers 1-1/2, 3, and 5, the Crissy Field Environmental Education Center and various projects for the Presidio Trust. Mike has more than 20 years of experience working on both new construction projects and the renovation of existing buildings. His strength lies in managing complex projects with demanding schedules and dealing with the complexity of construction in occupied facilities. Mike maintains a strong focus on client needs with exceptional attention to detail and quality and excels in coordination and communication as a way of optimizing schedules. Prior to Plant, Mike worked with Woodward Clyde Consultants (now URS) as a geotechnical engineer. He also worked for an architectural office in Zurich, Switzerland, and for a construction management firm in Berlin, Germany. He managed residential developments in and around Berlin and is fluent in German. His experience successfully representing German, British, and American owners to construct projects on time and within budget was a proper warm-up to his current role at Plant where he works closely with owners and design teams to prepare for, analyze, budget, and then execute successful projects. Mr. Wertheim is a seasoned financial executive, leader and strategist. He moved to San Francisco in 2010 when he joined Provident Funding Associates, an industry leading independent mortgage originator and servicer. Prior to joining Provident, Mr. Wertheim was President of a community bank specializing in residential and commercial real estate finance. His passion has centered on the intersection of commerce & community in ways that elevate the places we live. Mr. Wertheim has served on the Boards of the Mortgage Bankers Association, The Federal Home Loan Bank of Dallas and the Central NM Community College Foundation, among others. Selected honors received include the Mortgage Bankers Association Legion of Honor and their Distinguished Service Award, and the NM Mortgage Finance Authority’s Affordable Housing Hero Award.